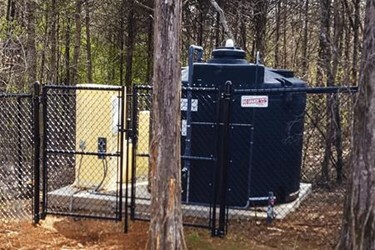 When the Metropolitan Government of Nashville and Davidson County received odor complaints from a residential subdivision, Evoqua provided a rapid, cost-effective solution. The Seven Points subdivision consists of about 150 homes located near the 22 square mile J. Percy Priest Reservoir in Nashville, TN. The homes feature grinder pump systems, which are prone to hydrogen sulfide production due to small diameter pipes and low linear velocities. When residents complained about odor, Evoqua was contacted to evaluate the problem and propose a solution.